Kanak stood on the platform with a microphone to his lips, talking to a crowd of villagers sitting in red plastic chairs underneath the shade of a makeshift tent. They had been waiting for this day. These were men, women and their children who desperately needed help. Kanak closed his eyes and prayed into the mic for them. Today would mark the first day of their changed lives. The people were poor. They fell far below the poverty line. And the Gospel for Asia pastor ached for them. Every day Kanak saw men walk into the nearby forest to cut and collect firewood to sell. He saw mothers, with infants strapped to their sides and bundles of firewood balanced on their heads, begin the miles-long trek to the market. He saw other women selling bottles of “country liquor” (rice beer) so they could earn a little money to support their families. He also saw men wasting their precious income to drink bottle after bottle of that country liquor. The people didn’t have clean water. They used the nearby river and pond to bathe in, to wash their livestock and dirty dishes in, and to drink from. They didn’t know this water they consumed was the source of many of their sicknesses. But they couldn’t afford medical treatment, so they resorted to superstitious “remedies”—practices that left them worse off than before. The people lived in a village with no electricity. Electric poles stood by the roadsides without wires and useless, leaving the village in darkness after dusk. Children studied by the flame of a kerosene lamp—that is, if they studied at all. The people lacked education. Most parents saw no value in their children learning how to read or write because they themselves never went to school. 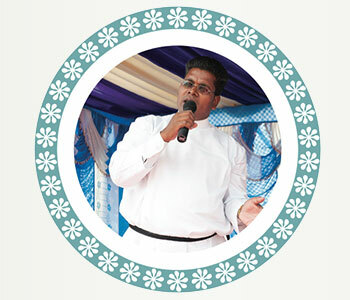 Watch a video of Pastor Kanak. 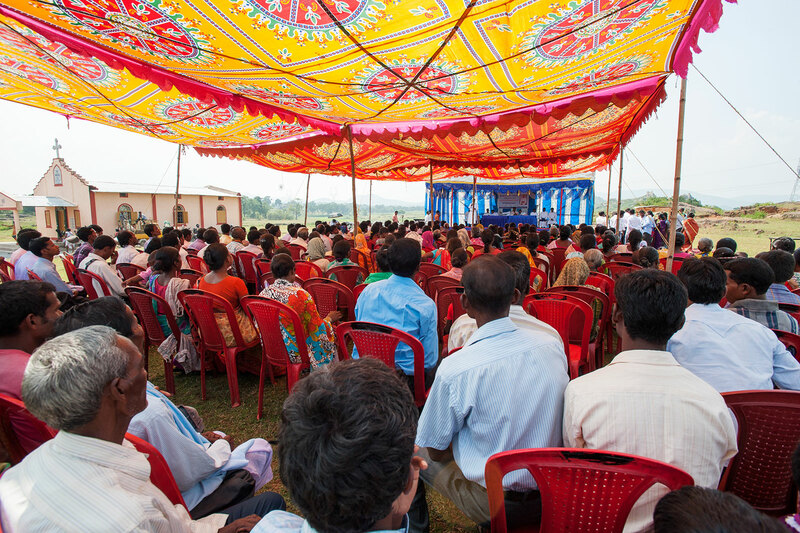 During the 14 years Pastor Kanak has been ministering in this village, he’s been able to provide gifts—Christmas gifts—to meet many people’s needs. 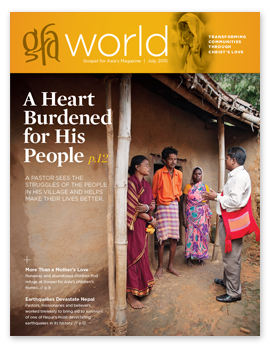 He spends time with the villagers and becomes acquainted with their struggles, assessing what gifts would help them the most and show them Jesus’ love. He’s given men and women cows, water buffalo, goats and piglets to help them earn more income. He’s provided bicycles to help people transport firewood to the market, saving them long, strenuous hours on foot. He’s supplied hardworking farmers with water pumps to irrigate and cultivate their land, helping yield a more abundant harvest.  These simple gifts bring changes. One did for Madhul. Madhul’s husband worked, but he wasted his income on alcohol. 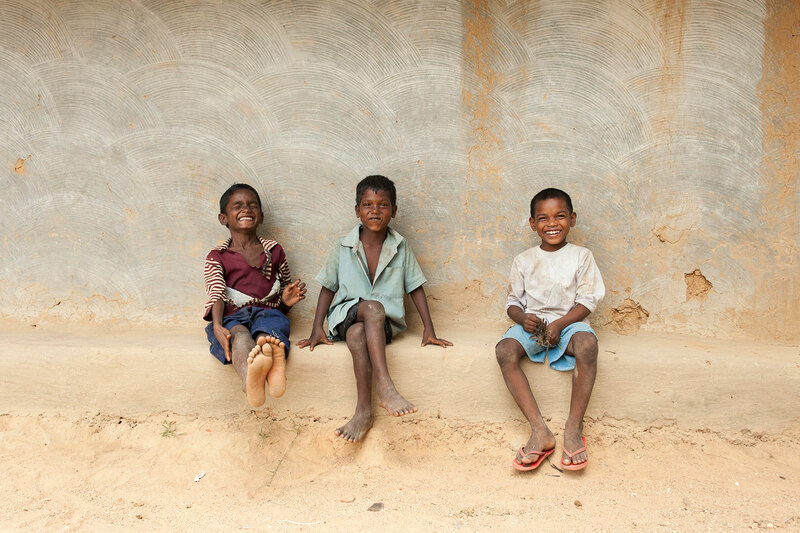 With children to feed and educate, Madhul had difficulties providing. 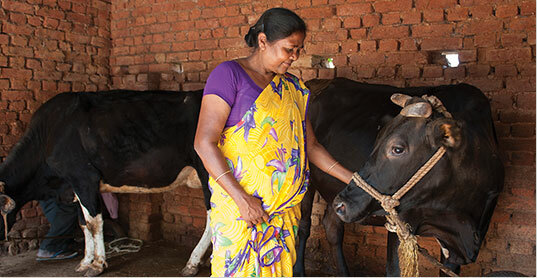 In 2006, Pastor Kanak held a Christmas gift program that helped Madhul buy a cow to stabilize her financial situation. The cow produced milk, and it even gave birth to five calves. 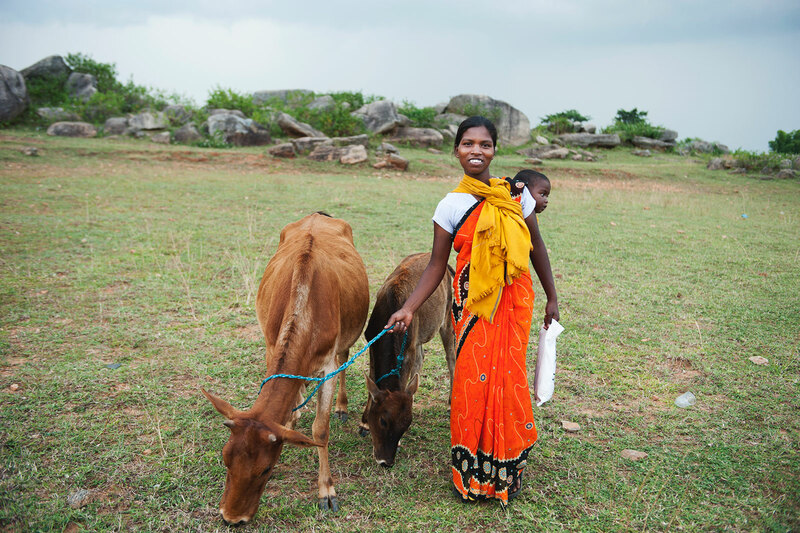 Through the milk and the money she earned selling the calves, Madhul was able to take care of her children. She used her earnings to help construct a new house for her family. 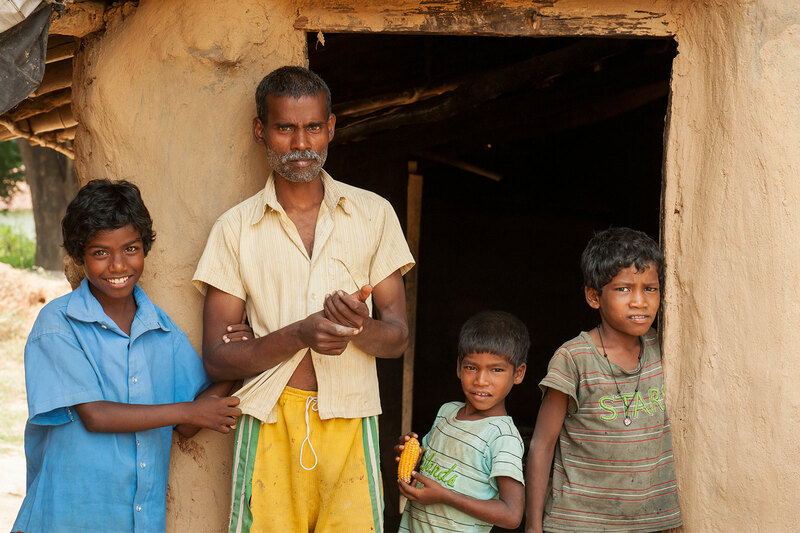 As Pastor Kanak calls out names, he knows these people’s suffering and poverty will soon come to an end as they experience the sweetness of Jesus Christ, like many others in his village have. “Rajbir,” he says into the microphone. A middle-aged man wearing a long-sleeved plaid shirt and red flip flops walks toward the platform. 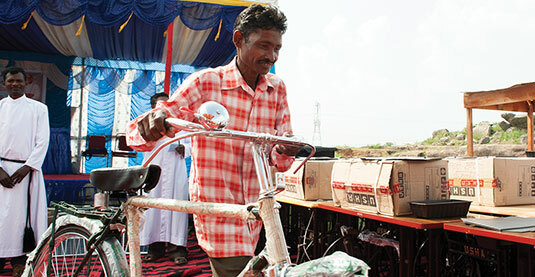 His gap-toothed smile brings joy to those waiting to present him with his gift: a bicycle. The lean-framed farmer will no longer have to carry vegetables on his back. Kanak sees a new future with every person who receives a gift—and his ache for these villagers eases just a little bit more. 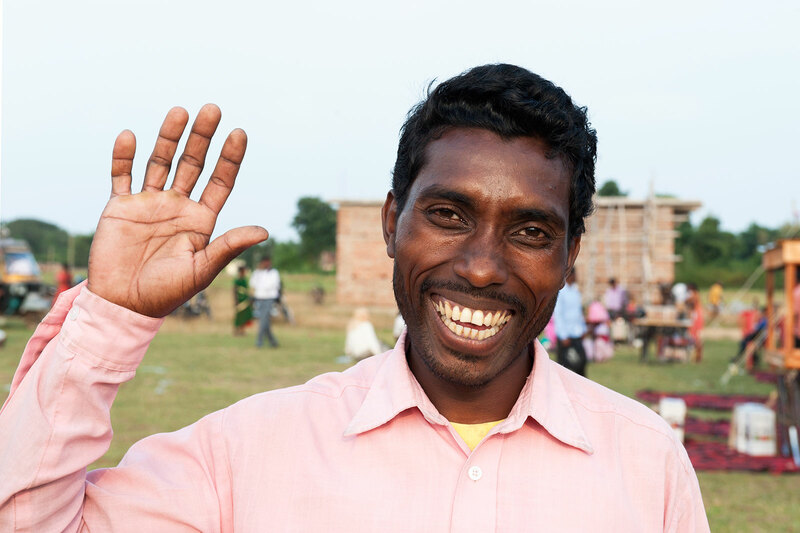 Sponsor a missionary like Pastor Kanak. Pastor Kanak has been serving in this village for 14 years. His heart aches seeing the people struggle in poverty, so through the Lord’s guidance, he does what he can to help them. The people in this village lack education and many basic facilities, like electricity, roads, hospitals and schools. Many have been taught to follow superstitions and unfounded beliefs. When they get sick, many seek cures from witch doctors because they can’t afford medical treatment. In the village where Pastor Kanak serves, education isn’t much of a priority to most parents, as they themselves are illiterate. Most of the children don’t attend schools; rather, they assist their parents by working in the fields or taking care of their siblings. 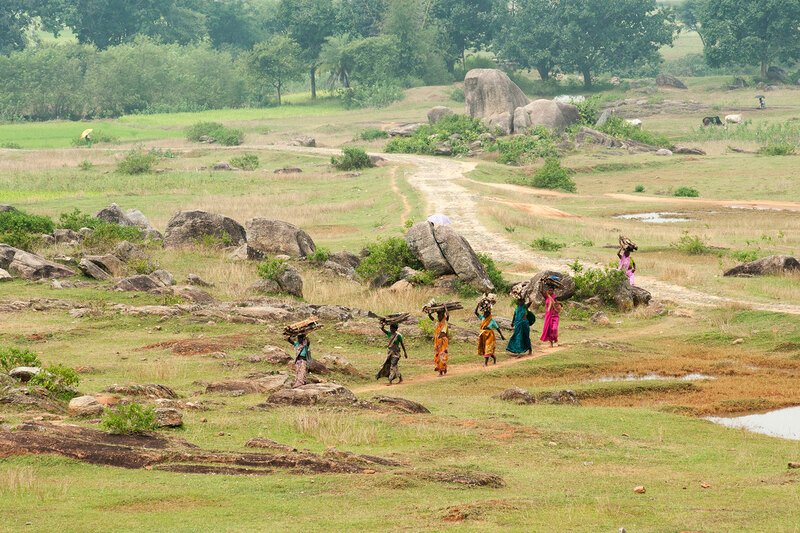 As people suffer from poverty and destitution, women collect firewood from the forests and carry it on their heads for several kilometers to sell it in the market. 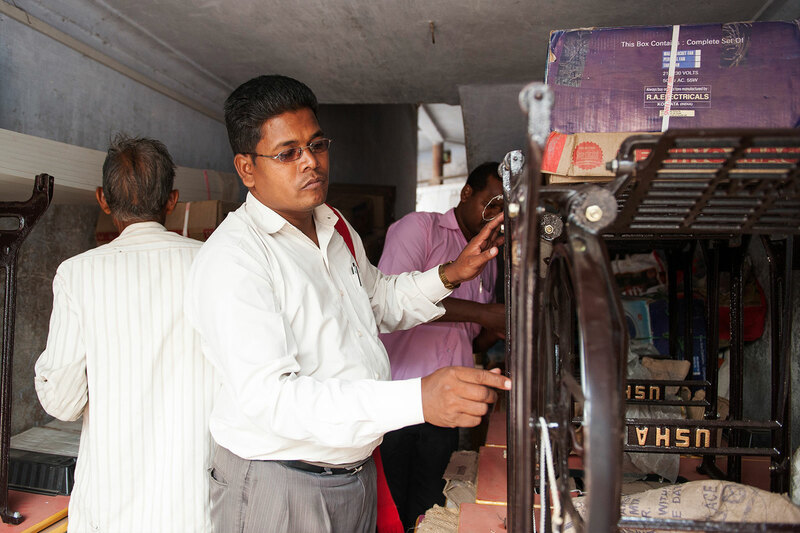 Before purchasing any Christmas gifts, like sewing machines, Pastor Kanak examines the merchandise and bargains with the merchant to make sure he’s getting the best product and the best price. On the day of the Christmas gift distribution celebration, men and women of the village gather and wait eagerly to receive their gifts. 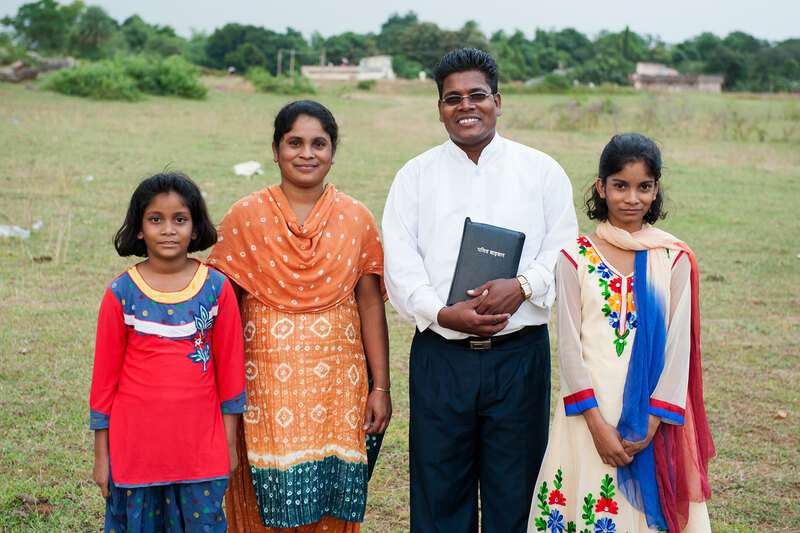 Pastor Kanak lets them know these gifts have been given in the name of Jesus to help them overcome their poverty. Paul received a sewing machine at the Christmas gift distribution. He immediately planned to set up a small tailoring shop in his village market where he would stitch pants and shirts, a skill he had earlier mastered. 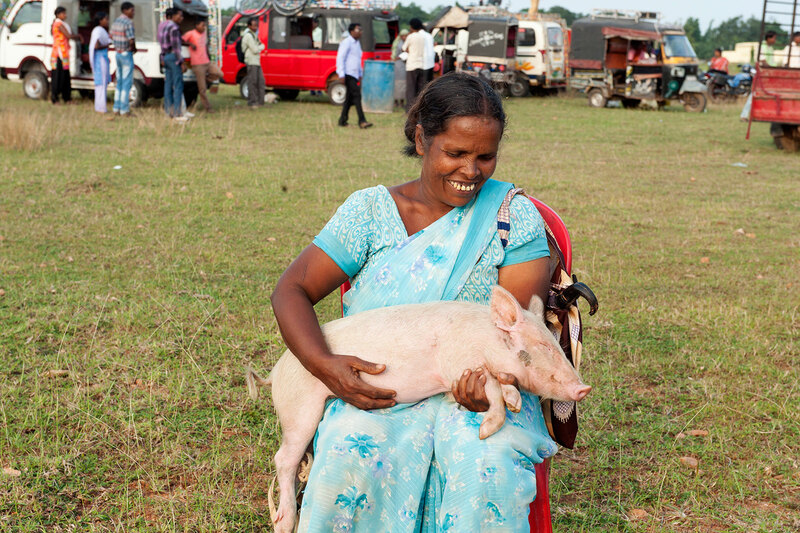 This woman, Laghuvi, received a pair of piglets. She looks forward to having better days ahead, as the piglets will provide a significant means of income. Damisi could not but keep smiling after receiving a cow and its calf as Christmas gifts. These gifts mean a lot to her family, which was financially struggling.